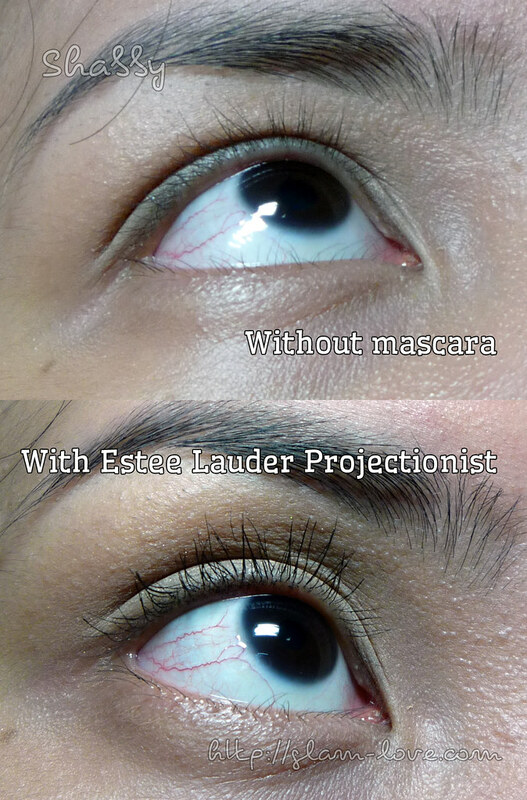 The mascara isn’t available on Estee Lauder’s website. I assume it came from a limited edition release. Above description was taken from Nordstrom’s. 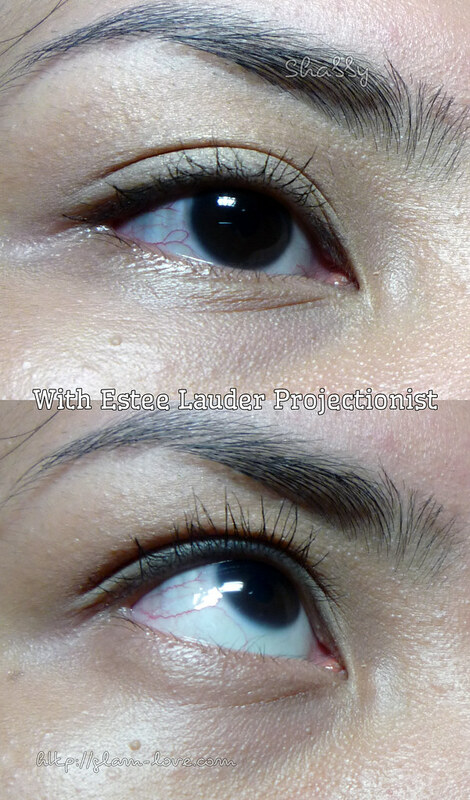 The Estee Lauder Projectionist High Definition Volume Mascara has been my daily and to-go mascara. 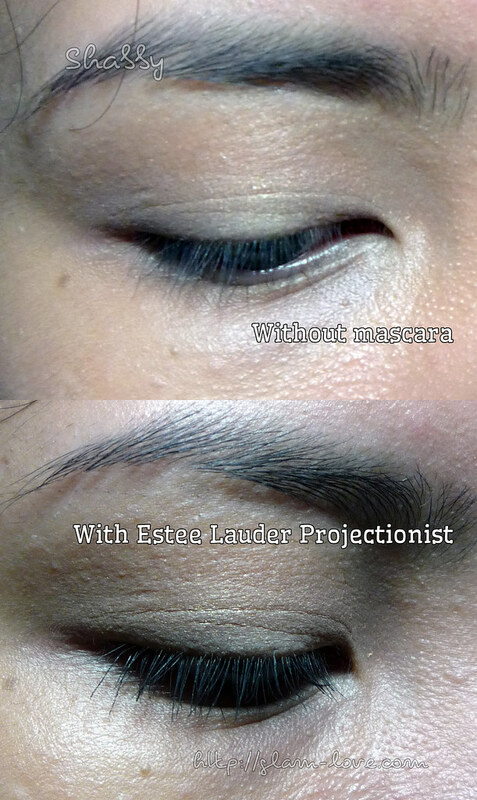 I have the sample size that came with one of my Estee Lauder makeup kits. This has been my mascara of choice to complement my office makeup or when I have neutral eye makeup on. I have been using this for quite a while now that I guess I should dispose it already. Well, not until I give it a review. Maybe I’ll use it until the end of the year…? I’m sure those who follow that 3-month lifespan rule of mascaras will freak out with me saying that. 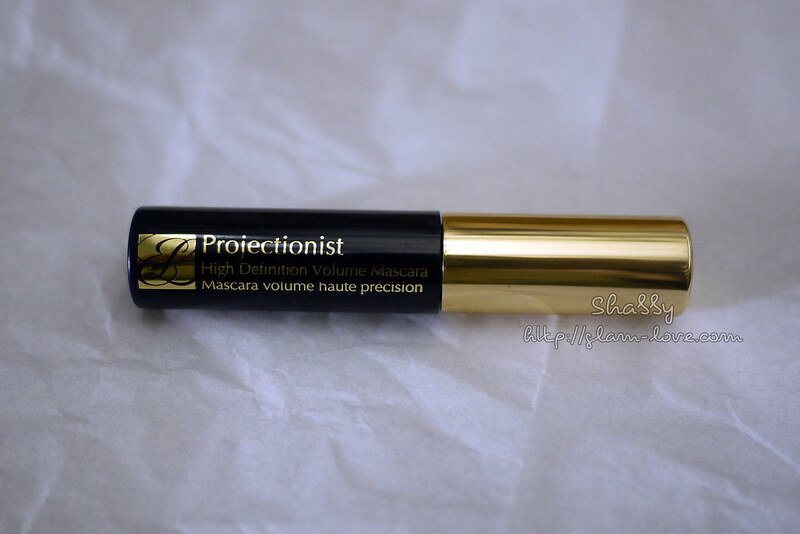 I find the formula of the Projectionist mascara slightly dry; consistency is very creamy. 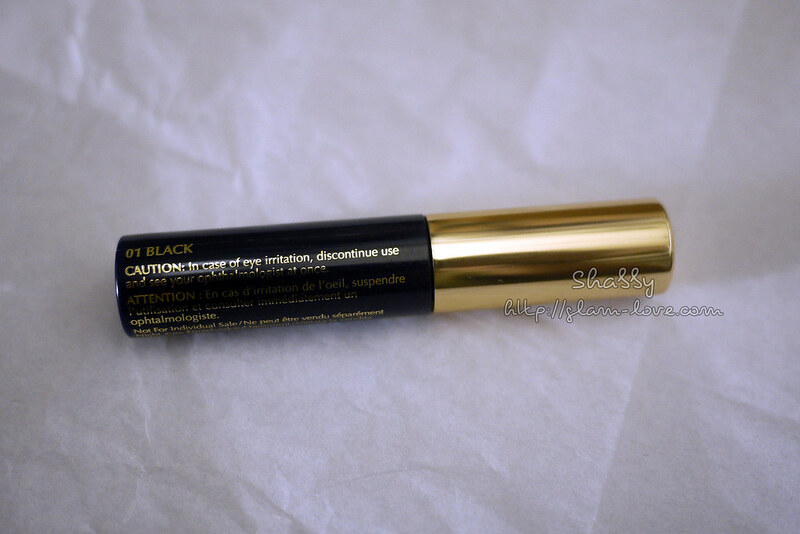 This mascara applies evenly on the first coating. No clumping occurs even given that the bristles are very dense. The wand is just right for me. 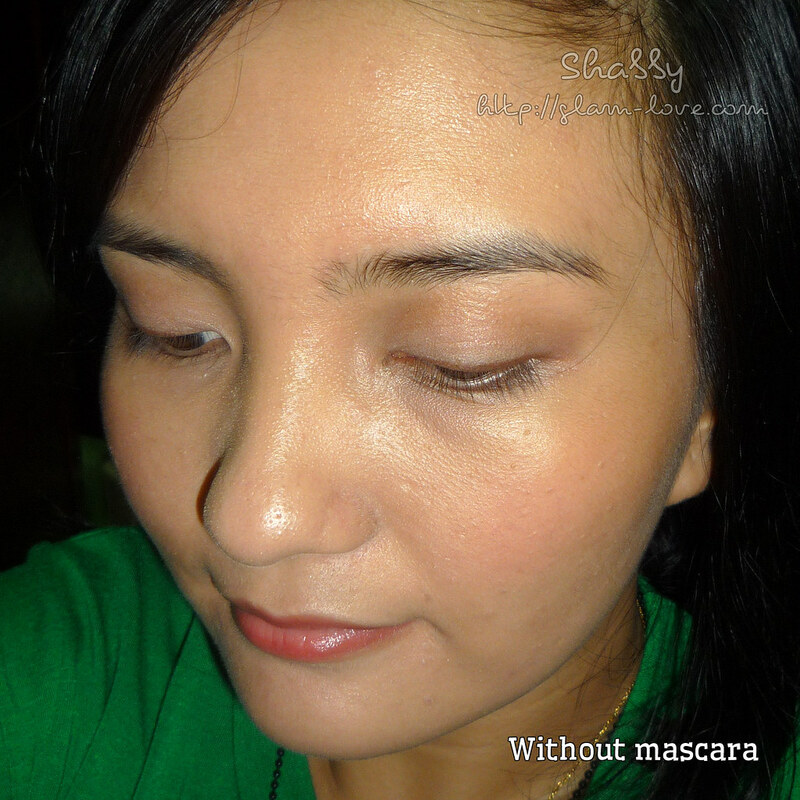 Its shape makes it easy to reach even the lashes near the inner corner of my eye. I sometimes find the bristles a problem though because they are short. 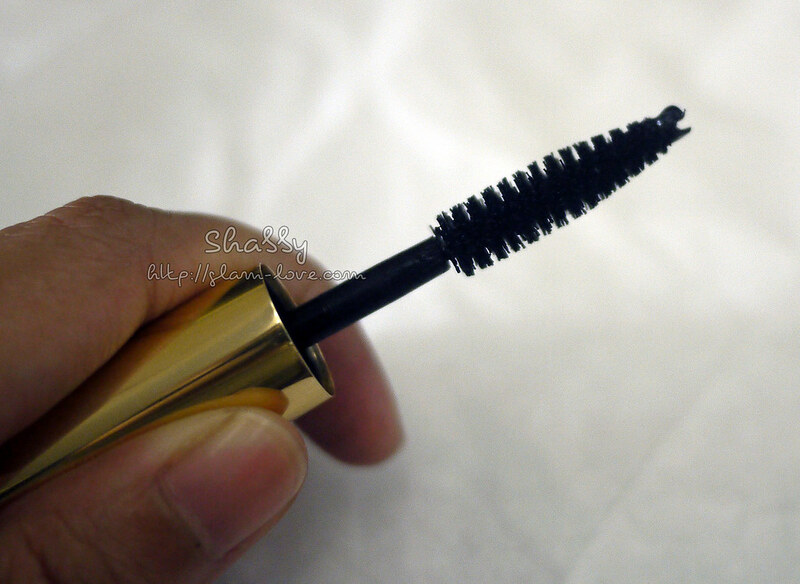 I tend to ‘push’ the wand more to my lashes when I attempt to lift or curl it up. Mascara would then stain my lids and, since it sets quickly especially on the skin, it becomes hard to rub off. 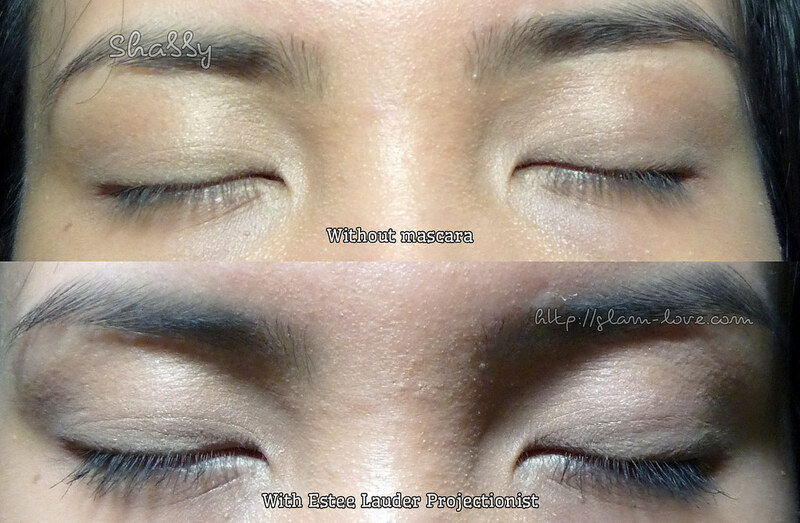 Application of three coats (that’s my minimum) gives my lashes decent, natural-looking volume and length. Those who really want length, this isn’t for you. The other downside of this is it doesn’t give lashes a curl. Only little lift. Flaking occurs, but only minimal. It usually does on warm weather. The thickness the mascara provides gives me healthy looking lashes. As for longevity, this stays on for six to seven hours. There were times I had this mascara on during my boxing training (I got sessions after office). Even with perspiring a lot, it didn’t budge or smudge at all. One time, I forgot about it that I wiped and rubbed my face instead of patting. You can pretty much guess how I looked then. I know it’s idiotic to put mascara or any makeup (besides lipgloss maybe?) when it’s a workout you’re going to. Mascara just makes me look more awake. Besides, with this, I don’t look like I have mascara on. Okay, more pictures to follow. All in all, I truly like this mascara. Recommended for those who prefer no intense volume and length mascara; just healthy- and natural-looking lashes. I would get this again if it’s still available. Should it be, those who want it but with tight budget might have to consider something else.